Corporate marketers work tirelessly to build more dynamic methods of communication and provide exceptional customer journeys. Though corporate marketers can build a solid customer journey strategy for the larger corporation, they also need to ensure channel partners are using the strategy as well. To amplify marketing reach, corporate marketers can make it simple for partners to access content and campaigns to improve channel ROI. 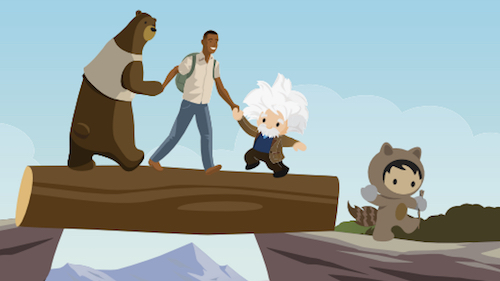 With Distributed Marketing from Salesforce, corporate marketers can empower every partner to be a smart digital marketer. Corporate and channel marketers can lead marketing initiatives by developing campaigns, ensuring brand compliance, and understanding journey engagement with analytics. Having a distributed marketing strategy in place can help corporate marketers provide the right tools and resources for partners, address issues with lead generation, and limit inconsistent communication to consumers. Because channel partners are owned by different individuals or organizations and operate under their own companies’ names, they may not have to adhere to all corporate marketing guidelines. Channel partners do not necessarily share the same goals or marketing strategies, which can result in confusion for consumers. While companies can sell their products through channel partners’ stores, channel partners may not have the resources or capabilities to implement an on-brand marketing strategy and generate demand on their own. Oftentimes, they don’t have large marketing departments to build a successful marketing campaign and may have a tough time developing a successful lead generation strategy. At the same time, corporate marketers may have more resources and know how to develop a lead generation strategy — but they also need the channel partners’ retail space or website to sell the product. Corporate marketers can help channel partners transition from traditional email campaigns to personalized, 1-to-1 customer journeys. Automated onboarding in the Lightning Partner Community makes recruiting, training, and enabling channel partners easy. Once they’re partnered, corporate marketers develop the strategy that will guide the channel partners selling their products with messaging templates built in Journey Builder. Successful lead generation comes from engaging with consumers throughout their journeys. With the data in leads profiles, marketers can generate a message personalized for any consumer. Whether the consumer is looking to buy a product in the next month or in the next few years, the marketer can use the data to send messages relevant to the consumer’s context. When corporate marketers and channel partners are trying to communicate with end consumers, and vice versa, messages can become inconsistent. In other words, the left hand doesn’t always know what the right hand is doing. This means that consumers could be receiving conflicting or inconsistent product messages from both corporate marketers and channel partners at the same time, leading to possible confusion. 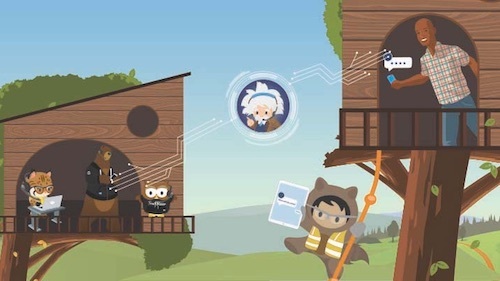 To address this friction with inconsistent branding, Distributed Marketing from Salesforce links approved journeys to existing campaigns in Service Cloud, Sales Cloud, and more. Channel partners can then personalize messages without altering corporate identity. Consumers are more knowledgeable than ever about products, and dealers have found that potential buyers have done a significant amount of research before coming to the dealership. Distributed marketing tactics can help channel partners be more prepared with information to engage with consumers at a specific dealer location, for example. Partners have a single view of consumer data, which helps them understand a consumer’s needs. They can see content consumers have engaged with, such as emails, and tailor messages appropriately using that data. Distributed marketing is a win-win partnership for corporations and channel partners of all sizes. 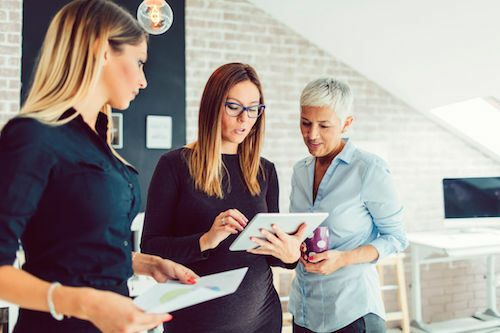 While corporate marketers gain more control of their established brands, channel partners receive more tools to drive sales and achieve greater consumer engagement. 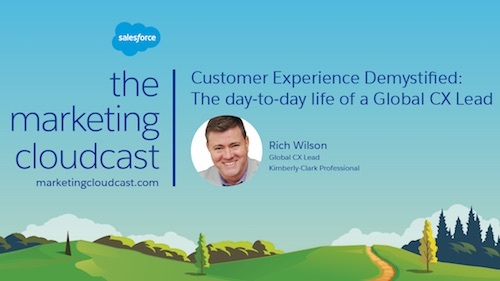 Find out how distributed marketing provides channel partners with seamless customer journeys and sell more, faster.